The respiration which takes place in absence of oxygen is called anaerobic respiration. There are two views about the origin of fermentation: (a) It is an evolutionary bypass. 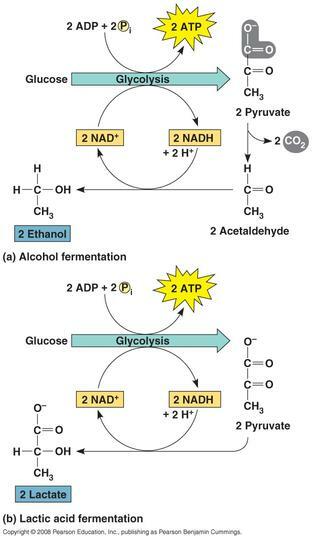 Some organisms use to keep glycolysis functioning under anaerobic conditions. (b) It is a biochemical remnant.